Hellhound…a supernatural dog, mythical in nature, jet black and red with piercing yellow eyes, the guardian of the gates of hell. Legend has it that seeing a hellhound or hearing its howl is ominous. Stare into its eyes three times and death awaits. Just think of what will happen when you drink a glass of Mutt Lynch HellHound. 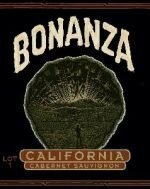 Dark and violent, a hellish blend of Cabernet Sauvignon and Cabernet Franc. Certainly not for the faint of heart. This noble beast opens to aromas of toasty oak and blackberries. On the palate you’ll find notes of blackberries, cherries, tobacco and leather. The 2014 HellHound is full-bodied, with silky tannins and a nice finish. Available now for a great taste but will also age well. We’re at the mercy of this beauty of a beast. It’s big, bold and very tempting. Who’s afraid of the big bad wolf? The obvious pairing is something from the grill–steak or even a great burger. But…a great pasta with sausage also comes to mind. Categories: Country - United States, Region - California, Unique Reds. by a purposeful symmetry of balanced tannins and acidity. Pair with music! 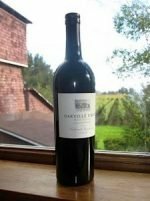 In 2001, Tom Stolpman asked his winemaker to blend the few best barrels and create a wine in honor of his wife, Marilyn, and her Italian heritage. Through this wine, the Angeli family of Lucca would live on. By 2002 he identified the very top part of the Block 5 ridgeline as the vineyard’s standout micro section. Ever since, he has selected the best barrels of this block for Angeli. Not only will the 2014 blossom in the cellar, it blows us away today, right out of the gate. Our favorite type of wine, Angeli combines intense, bright perfume with ripe, rich, and mouth-filling robustness. It’s delicate and pretty while powerful and lasting. 2014 Angeli might be the most hedonistic of the altogether pleasurable, yummy 2014 vintage. Richer and deeper than the higher toned Angeli of the past few years, the 2014 offers immediate gratification. “In every wine we make, our goal is to combine ripe richness with savory liveliness – interesting wines that coat the palate and leave one yearning for more. In 2014, not only did we nail this balance, but the exquisite tight-rope of fresh red fruit and deep ripe yumminess are palpable upon release. 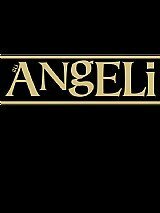 No need to wait for tannins to soften or the mid-palate to flesh out, Angeli is a wow wine right out of the gate. In one of our best vintages to date, Angeli already flaunts its pedigree as the best wine of the vintage.” Tom Stolpman. The Michele Chiarlo Tortoniano 2012 is named for the tortonian-era (think millions of years ago) soils in which the vines are planted, which contain a high percentage of magnesium and manganese. Grape clusters are thinned and are harvested somewhat later than usual so that the fruit attains higher concentration. Temperatures are strictly controlled during vinification and the wine is aged for two years in large oak casks and one year in bottle before release. The wine shows layered aromas and flavors of mint, red fruit and spices. The palate shows bright acidity and silky tannins before a long finish. This wine is a superlative pairing for roasts, game and hard cheeses. Also try with wild mushroom risotto with just a hint of truffle oil! Heavenly!